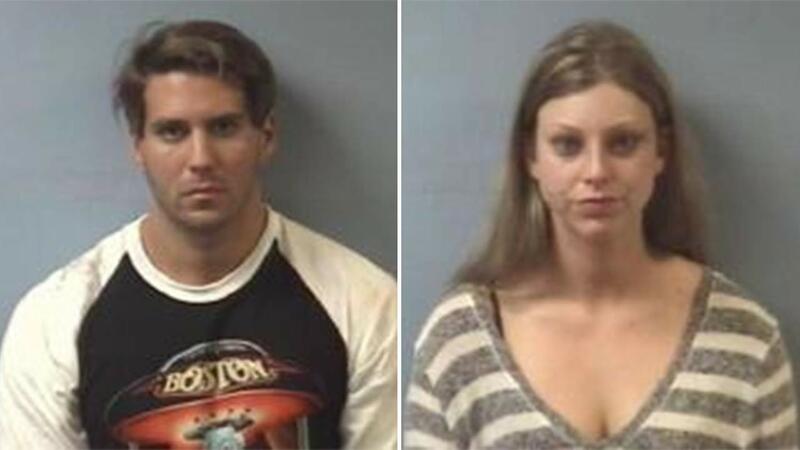 Joshua Gene Leal and Kayla Marisa Seloff were charged with criminal trespass. FRIENDSWOOD, TX -- Police in Friendswood, Texas claim a woman who was supposed to be selling a vacant home was caught using the house for something else entirely. On Saturday, a neighbor leaving for work before 5 a.m. noticed suspicious activity at the empty house in the 200 block of E. Castle Harbour when a flashlight-toting couple was spotted going into the home. Police were called and when officers arrived, they peeked inside and saw a man and woman lying on the floor. Kayla Marisa Seloff, 22, of Houston, claimed she and Joshua Gene Leal, 27, of Friendswood, were married and had just purchased the residence the day prior. Seloff and Leal were escorted to their car to retrieve their identification; but as soon as Seloff opened the car door, police say the smell of marijuana was detected and a glass pipe was observed on the dashboard. The officer collected the pipe and reportedly found a pouch with additional drug paraphernalia and a small baggie of marijuana. Police say Seloff claimed ownership of the marijuana and paraphernalia. She also revealed that she was actually the real estate agent for the home, not the new homeowner. In fact, she had just sold the home and the new homeowner closed on the house the day prior. Seloff and Leal did not have permission to be in the home, according to the new homeowner, who agreed to file criminal charges. Kayla Marisa Seloff and Joshua Gene Leal were charged with criminal trespass. Their bond was set at $1,000.